Here at Rock Road Animal Hospital, we are pleased to serve St. Louis, MO as well as St. Ann, St. John, Bridgeton, Breckenridge Hills and Overland. 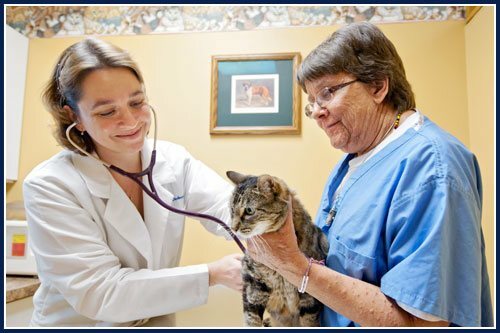 It is our goal at Rock Road Animal Hospital to provide the very best veterinary care to your pets as our patients. Our doctors and hospital staff strive to continue their education to bring you the highest quality care available. We also want you and your pets to feel comfortable while in our office. Here are Rock Road Animal Hospital, we are also here for you! We know that being a pet owner can be challenging and scary. We want to give your pets the lives they deserve. We know the best way to do that is to help you. So don’t be afraid to call us here at (314) 429-6666. We can answer any questions you may have. Took my dog, Ginger here to get her updated on vaccines and to check her paw out that she had been limping on for few days... I reached out to Facebook for vet recommendations. Rock road Animal hospital did not disappoint! Had an amazing experience! Dr.Doyle is fantastic! Highly recommend!!! Always take my babies here since we moved to the area. We usually see Dr. O who is amazing but we got to see Dr. Bednar this time, she's awesome! Very nice and did an excellent job with my big pitbull baby Deuce. I was a little nervous because this was his first trip to the vet and he was very nervous, but she got right down on the floor with him and he just melted for her! I'll be back tomorrow morning with my other two babies and I'm sure it'll be great as well. These individuals treated our furbabies with love and respect as well as myself and other family members...thank you. 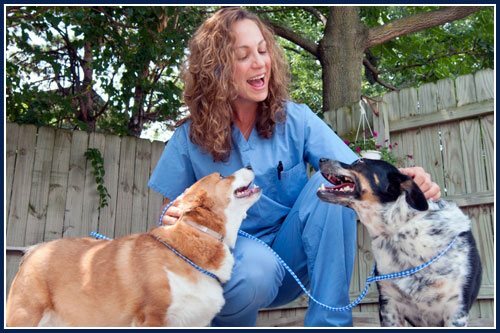 Here at Rock Road Animal Hospital, it is our goal to stay on top of the newest advances made in veterinary medicine to ensure our patients receive the very best veterinary care available. If you have any questions about our practice or would like to schedule an examination for your pets, please call us today at (314) 429-6666.